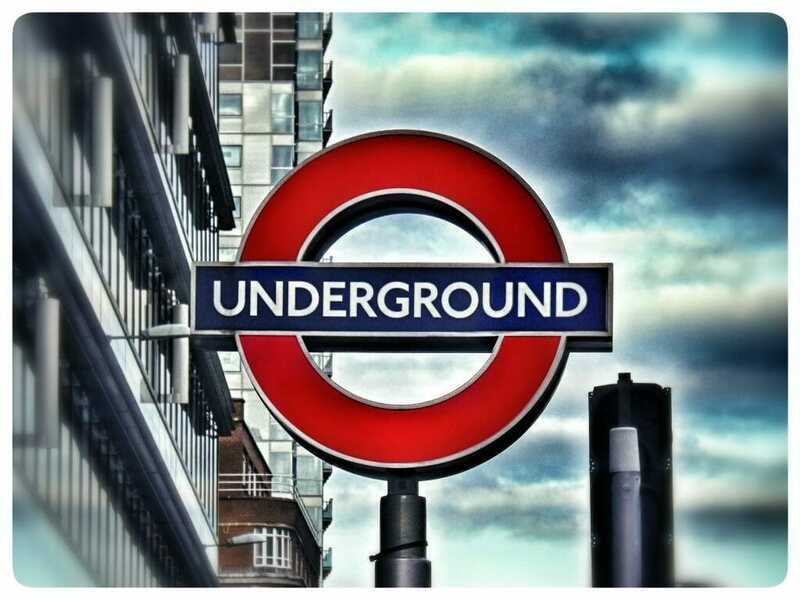 The London Underground has been in service for over 150 years, with the Thames Tunnel opening in 1843 to make it the world’s oldest underground rail network. Millions of commuters, tourists and regular Londoners use the Underground every day without incident, but the truth is that the Underground has a murky past which has resulted in a lot of ghostly sightings and hauntings. Covent Garden is right in the centre of London’s West End, its theatre district, and the station is also home to one of the most famous London Underground ghosts. William Terriss, an actor born in 1847, was an extraordinarily popular figure in melodrama plays in Victorian London. In 1897, as he was about to enter the Adelphi Theatre for a performance of a play called Secret Service, he was stabbed to death by Richard Archer Prince, an actor he had once taken under his wing and who had become fiercely jealous of him. Rumours of Terriss’s ghost in the Adelphi Theatre and in Maiden Lane, where he had died, were rife. But it wasn’t until 1955 that Terriss’s ghost was identified in Covent Garden station, which was built where a bakery Terriss particularly enjoyed had once stood. Ticket collector Jack Hayden spotted a well-dressed figure climbing some stairs when the station was closed and then saw the same figure in the staff room, wearing an old-fashioned grey suit. His sighting was corroborated by a porter, and Hayden later identified the ghost as Terriss after seeing a photograph of the actor. During the Second World War, Bethnal Green tube station in London’s East End was used as an air raid shelter from German bombing attacks. Up to 7,000 people are known to have sheltered in Bethnal Green station during the height of the raids. On March 3, 1943, Berlin had been heavily bombed so London was expecting a retaliatory raid, and when the sirens went off at 8:17 p.m., there were already 500 people in the station before an estimated 1,500 people poured in from their nearby homes, restaurants, cinemas, and buses. The steps down to the platform were wet and dimly lit, and as people went down they began to panic when they heard the sound of a nearby explosion. At the bottom of the steps, a woman holding a baby fell over, creating a domino effect in which hundreds of people fell down the stairs in just 15 seconds as others kept surging in from the streets above. 173 people died, mostly from asphyxiation, including 62 children. Since then, London Underground employees have reported hearing the sound of children sobbing, women screaming and people panicking late at night when the station is empty. It seems that the events of that night have left permanent marks on Bethnal Green station. In 1811, an employee of the Bank of England, Philip Whitehead, was charged with forgery and sentenced to death before being hanged in 1812. Unfortunately, his sister Sarah wasn’t informed and kept visiting the banking hall and asking to see her brother before the truth about his death was revealed to her. Dressed in a long black dress and black veil, she spiralled into denial and kept visiting and insisting to see her brother. Although she stopped visiting after she was paid off by the bank, she was spotted around the Bank of England again after her death, asking passersby if they had seen Philip. She has also been spotted at Bank Station, where passengers have said there’s an atmosphere of sadness and despondency, along with sounds of ghostly moaning on platforms. There are also reports of foul smells at the station, which was built on one of London’s many plague pits, where thousands of people were buried during the Black Death in the 17th century. King’s Cross is one of the biggest and most famous tube stations in London, but what a lot of people don’t know is that on November 18, 1987, 31 people were killed and 100 were injured in a fire at the station. The blaze started underneath a wooden escalator, probably because of a dropped lit match. Although it initially seemed minor, there was a sudden flashover up into the ticket hall about 15 minutes after the first reports of smoke. Most of the people in there were killed or seriously injured. Since then, a young woman with long brown hair wearing modern clothes has been seen at Kings Cross, screaming with her arms stretched out before disappearing when people try to comfort her. Passengers have reported smelling smoke where the girl was first seen. Although there haven’t been any reports of particularly tragic incidents at Elephant & Castle, there have still been plenty of ghostly sightings and sounds reported by both passengers and station staff. When it’s closed, staff have heard the sounds of someone running along a platform, along with doors opening mysteriously and odd tapping noises. There have also been a lot of reports of the ghost of a young woman who gets on the train before vanishing as it pulls away from the platform. The Northern Line is one of the longest underground lines, stretching from the furthest reaches of North London right down to the south. On the Northern Line, there’s an area called the Kennington Loop, which is where the trains turn around and passengers aren’t allowed. Drivers don’t like the track because it’s a tight curve and trains are sometimes held there for a long time. Another reason the Kennington Loop is unpopular is that there have been reports of drivers hearing voices in their empty trains – and even more spookily, a number of drivers have heard all the interconnecting carriage doors slamming open and shut. Allegedly a passenger once tried to board the train while it was moving through a connecting door before being dragged into the tunnel and killed. In 1758, 13-year-old apprentice hat maker Anne Naylor was murdered after being treated cruelly by her adopted mother, hat maker Sarah Metyard. Although she tried to dispose of Naylor’s body in a sewer, it was eventually discovered and Metyard was turned in by her daughter before being sentenced to death in 1768. Although Naylor was first said to haunt the sewer, more recently she’s been heard in Farringdon Station, which was built on the site of the building where she was said to have been killed. A number of people have heard her screams and cries echoing through the station, leading to her nickname of the Screaming Sceptre. Although the British Museum station was closed in September 1933, there are still ghostly rumours about it to this day. Among other artefacts such as the Elgin Marbles, the British Museum is well-known for its Ancient Egypt collection, which is the largest in the world outside Egypt and includes the Mummy of Ginger from Gebelein and an Ancient Egyptian bronze statue of a cat. Connected to the alleged curse of the Amen-Ra’s tomb, a ghost of an Ancient Egyptian princess is said to haunt the tunnels with her wailing and screaming. Another rumour is that she also haunts the Underground through an alleged secret tunnel connecting the Egyptian room at the British Museum to Holborn station. She was blamed for the disappearance of two women from Holborn in 1935. One of London’s busiest stations, Liverpool Street Station is also one of the most haunted. Like all tube stations, the platforms are carefully monitored with CCTV cameras by Line Controllers, and in 2000 a Line Controller spotted a man dressed in white overalls standing in Liverpool Street Station at night when it was closed. He talked to the Station Supervisor, Steve Coates, who went in search of the man but couldn’t find him. By the entrance to the Central Line, the Station Supervisor called the Line Controller back to explain what had happened, only to be told that while he was conducting his search, the man in white overalls had been standing right next to him. He began a second search, during which the Line Controller could still see the man standing right next to him, apparently unnoticed, before the two men finally gave up. The Supervisor then found a pair of white overalls on a bench on a platform, but was absolutely certain that nobody had walked past him after leaving the overalls there. The mystery has never been solved. Aldgate Station, which opened in 1876 and was built on another plague pit, is another of the most haunted stations in the city. Supposedly there’s even a log book for ghost sightings such as phantom footsteps. Unlike most of the other London Underground ghosts, though, the main ghost of Aldgate is a soothing and kind presence. An electrician working at Aldgate one night slipped between the tracks, hitting a live power rail and receiving a 20,000-volt shock. It should have killed him, but he survived after being knocked unconscious, receiving only some bruising. Afterwards, his colleagues claimed that they saw a transparent figure of an old lady kneeling beside the unconscious man and stroking his hair. Whether she was comforting or saving him, it’s definitely one of the more pleasant ghost sightings around. As one of the oldest underground transport systems in the world, it’s almost unavoidable that the London Underground would be full of ghostly happenings. Make sure that you don’t travel alone at night or you might be in for a scary time.